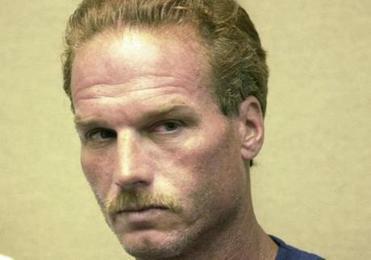 A federal jury in 2003 sentenced Gary Lee Sampson to death. 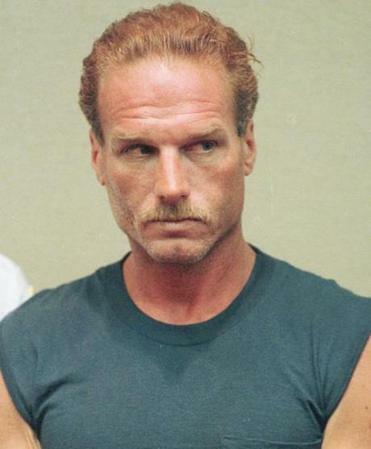 A federal judge on Tuesday agreed to postpone the February 2015 death penalty retrial of admitted serial killer Gary Lee Sampson, outraging the families of his victims who say they have waited too long for a resolution of the case. “It’s terribly disappointing, terribly discouraging,” said Mike Rizzo, whose 19-year-old son, Jonathan, was killed by Sampson. Rizzo accused US District Judge Mark L. Wolf of having a bias against the death penalty that has led him to drag out the case. On Tuesday, Wolf moved the sentencing trial to September 2015. Rizzo has in the past called for Wolf to recuse himself from the case, because he and relatives of other victims believe Wolf is opposed to the death penalty. The judge has in the past publicly expressed concerns with capital punishment. US Attorney Carmen M. Ortiz said her office will push to move the case along, expressing sympathy for the families and “deep disappointment” with Wolf’s decision. Sampson, who carjacked and killed two Mass. men during a crime spree in 2001, faces a sentencing retrial in February. In his 22-page ruling Tuesday, Wolf acknowledged the “agony” of the family members, but said Sampson’s defense team needed more time to prepare for the sentencing trial, in part to avoid the need for the case to be tried again. Sampson, now 55, pleaded guilty in 2003 to the carjacking killings of Rizzo, from Kingston; Philip McCloskey, 69, of Taunton; and Robert Whitney, 58, of Concord, N.H. Sampson was a transient, and his victims had picked him up while he was hitchhiking. A jury sentenced Sampson to death. But Wolf vacated the decision in 2011 after finding that one of the jurors lied during the screening process; a federal appeals court upheld the decision. Federal prosecutors moved for a quick retrial, saying the families of Sampson’s victims deserve to have the case tried “free from unreasonable delay.” Wolf set the February 2015 trial date last March. The rescheduling of the case Tuesday was necessary, Wolf said, to avoid future appeals. “The court understands that a continuance will prolong the agony and uncertainty of the retrial for the families and friends who loved and lost the people Sampson murdered,” Wolf wrote. In explaining the need for the delay, Wolf said there have been “unforeseen” developments since he set the February trial date. He noted that Sampson was transferred to a new prison to undergo a mental health evaluation, obstructing his lawyers’ efforts to meet with him. The judge also said that prosecutors and defense lawyers continue to share evidence of Sampson’s violent behavior in prison since his arrest, which will be part of the new trial. Prosecutors plan to show that Sampson continues to be a threat. The judge also noted that one of Sampson’s primary lawyers was appointed to the case only recently. Wolf accused her of wasting time with jumbled motions asking him to dismiss the case. In asking for the delay, defense lawyers argued that Wolf was rushing them to retry the case on a schedule that would have made Sampson’s death penalty case the fastest to go to a retrial after an appeal. But federal prosecutors argued that the defense team has had adequate time to review a case that has already been tried. They said the Crime Victim Rights Act — passed after Sampson’s first trial — gives his victims’ families the right to a quick trial.